Trademark Hardware Regulatory Standard Test Explained. Pemko Products Ratings. Products indicated by this symbol have been tested in accordance with the requirements of ASTM E-283 Rate of Air Leakage through Exterior Windows, Curtain Walls and Doors under specific pressure differences. Products indicated by this symbol are classified as GASKET MATERIAL FOR USE ON LISTED STEEL FRAMES AND CLASSIFIED HOLLOW METAL STEEL COMPOSITE TYPE FIRE DOORS RATED UP TO AND INCLUDING 3 HOURS, WOOD COMPOSITE TYPE FIRE DOORS RATED UP TO AND INCLUDING 1-1/2 HOURS AND WOOD CORE FIRE DOORS RATED 20 MINUTES . These products have been tested to meet the requirements of UL10B and UL10C, Fire Tests of Door Assemblies, UBC 7-2 Fire Tests of Door Assemblies Part I-1997 and NFPA 252 with the neutral pressure plane at 40º. These products meet the requirements for Category G - Edge Seals. Products indicated by this symbol are classified as GASKET MATERIAL FOR USE ON LISTED STEEL FRAMES AND CLASSIFIED HOLLOW METAL STEEL COMPOSITE TYPE FIRE DOORS RATED UP TO AND INCLUDING 3 HOURS, WOOD COMPOSITE TYPE FIRE DOORS RATED UP TO AND INCLUDING 1-1/2 HOURS AND WOOD CORE FIRE DOORS RATED 20 MINUTES. These products have been tested to meet the requirements of UL 10B and UL 10C, Fire Tests of Door Assemblies, UBC 7-2 Fire Tests of Door Assemblies Part 1-1997, and NFPA 252 with the neutral pressure plane regulated at 40". These products meet the requirements for Category J - Gaskets. PemKote™ is a rugged abrasive finish of nickel-aluminum composite which is fused to the metal surface by an exothermic reaction. This process produces an aesthetically pleasing skid resistant coating with extremely high bond strength and excellent resistance to oxidation. Pemkote™ carries a TEN (10) YEAR GUARANTEE, and is available on all Pemko metal thresholds. Pemko highly recommends the use of Pemkote™ for all Barrier-Free Modular Ramps, and as a durable, economical alternative for cast abrasive products. For corrosive applications, request sealant for extra protection. Pemko's skid resistant surfaces have been tested to UL410 and meets the requirements of ASTM D 2047 and Federal Speccification P-F-430C. Products indicated by this symbol have been tested in accordance with UL 1784-2001Air Leakage Tests of Door Assemblies, and meet the performance criteria for allowable air leakage as specified in NFPA 105-99 Installation of Smoke Control Door Assemblies. These products meet the requirements for category H - Smoke Seals. Products indicated by this symbol have been acoustically tested in accordance with ASTM E 90-04 Standard Test Method for Laboratory Measurement of Airborne Sound Transmission Loss of Building Partitions, and ASTM E 1408-91 Standard Test Method for Laboratory Measurement of Sound Transmission Loss of Door Panels and Door Systems. Indicates compliance with both Canadian and U.S. requirements. The Canada/U.S. UL Mark is optional. 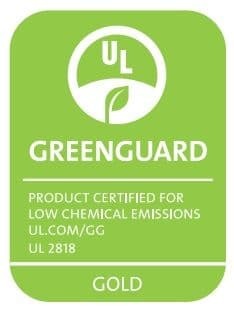 UL encourages those manufacturers with products certified for both countries to use this new, combined Mark, but they may continue using separate UL Marks for the United States and Canada. Products indicated by this symbol have been tested for fire resistance by Underwriters Laboratory and are covered under a follow-up services program. Products indicated by this symbol are listed as CONTINUOUS HINGES FOR USE ON HOLLOW-METAL, METAL-CLAD, COMPOSITE (STEEL, WOOD AND PLASTIC OVERED), SHEET METAL AND WOOD CORE TYPE FIRE DOORS AS INDICATED IN THE INDIVIDUAL LISTINGS. These products have been tested and meet the requirments of UL 10B - Negative Pressure and UL 10C - Positive Pressure, Fire Tests of Door Assemblies, UBC 7-2 Fire Tests, Part 1-1997 and NFPA 252 with the neutral pressure plane at 40º. Products indicated by this symbol have been voluntarily submitted to rigid third party testing and follow-up audits to confirm that these products fully and continuously meet or exceed the requirements of their respective ANSI/BHMA Standards. These products are listed in the BHMA Directory of Certified Products, published annually and available for purchase from BHMA. They are also posted and frequently updated on the BHMA web site at www.buildershardware.com. These products meet the requirements of ANSI/BHMA A156.21-2006 Standard for Thresholds, ANSI / BHMA A156.22-2005 Standard for Door Gasketing Systems, or ANSI / BHMA A156.26-2005 Standard for Continuous Hinges. Products with this symbol have been tested for a number of harmful chemicals and have low Volatile Organic Compound (VOC) Emission, to ensure they are safe for indoor environments, especially schools and healthcare facilities. This rating aids in achieving or exceeding criteria for greener building rating programs, such as LEED and Collaborative High Performance Schools (CHPS).